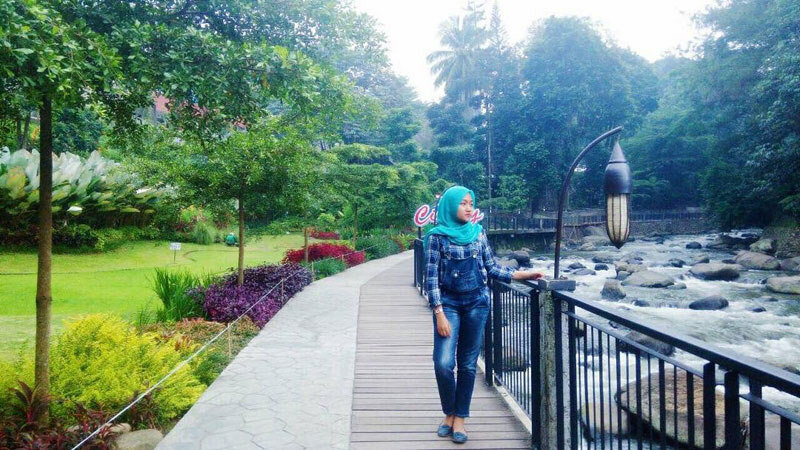 Anyone who has been to Bogor knows that it’s love at first sight. 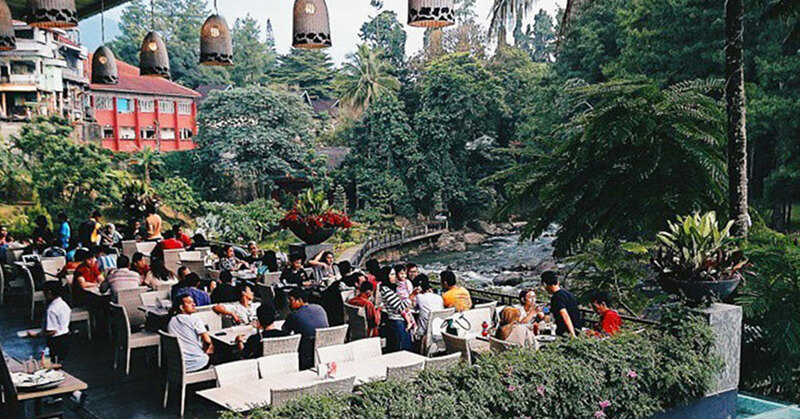 This city is relaxed and even romantic, about 1 and a half hours from the bustle of Jakarta. 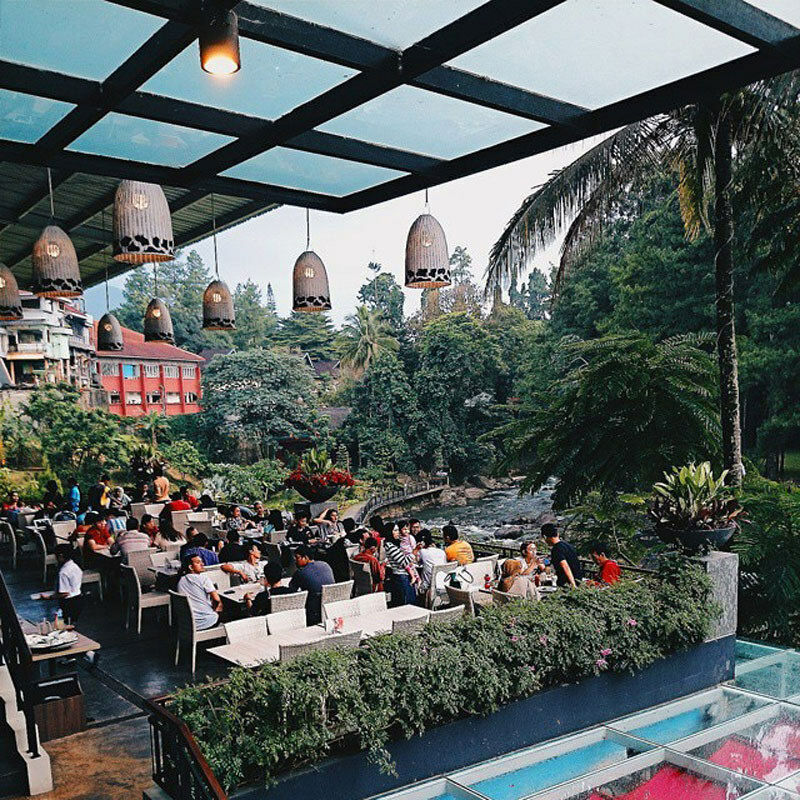 Bogor is filled with awesome coffee shops and chill restaurants, and we have found some quirky hangouts that are a cut above the rest. 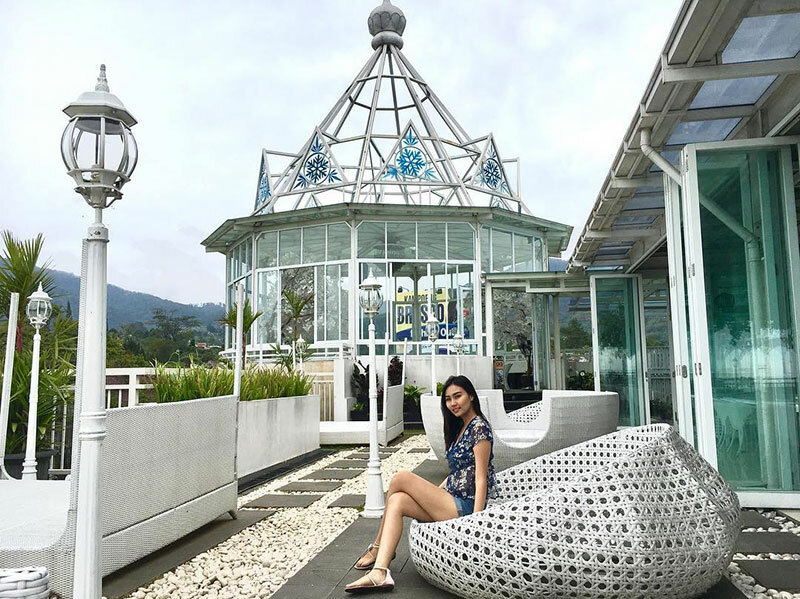 15 reasons to visit Bogor – an incredibly beautiful town 1 hr’s drive from Jakarta! 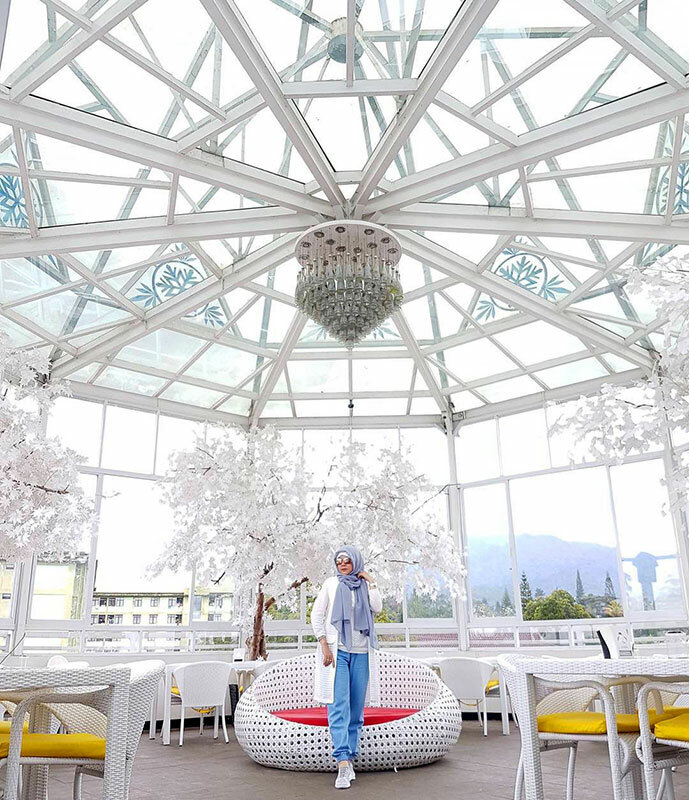 You can’t visit Bogor without indulging your sweet tooth, drinking plenty of coffee and (if you are feeling brave) trying some crazy new dishes. People might think that this city is sleepy and tame, but once you see these unique dining experiences on offer – you just might change your mind! 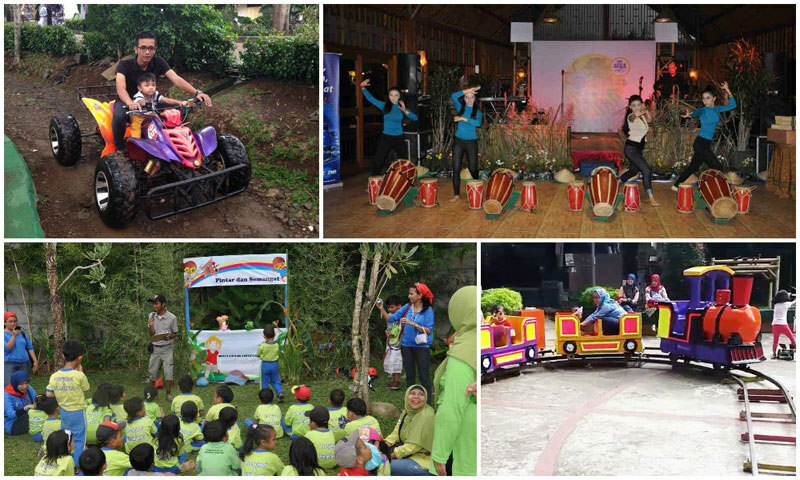 Cimory is renowned for its range of nutritious probiotic drinks and carefully sourced local produce. 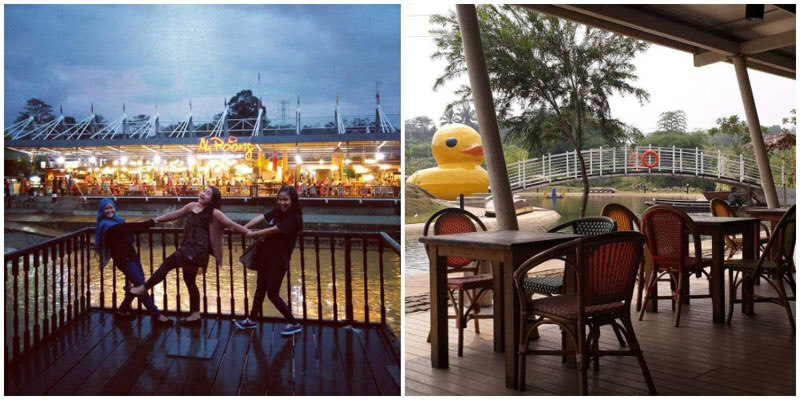 The riverside restaurant sits just above the river and has a beautiful open-air terrace. Arrive in the early evening to watch the sun set to the soothing sounds of the river in the background. Cimory sausages are famous but be prepared; these are monster-sized sausages so make sure you are hungry before making a trip down! You can’t visit Cimory without a trip to the Chocomory gift shop. Buy chocolate gifts for friends, family – and yourself. 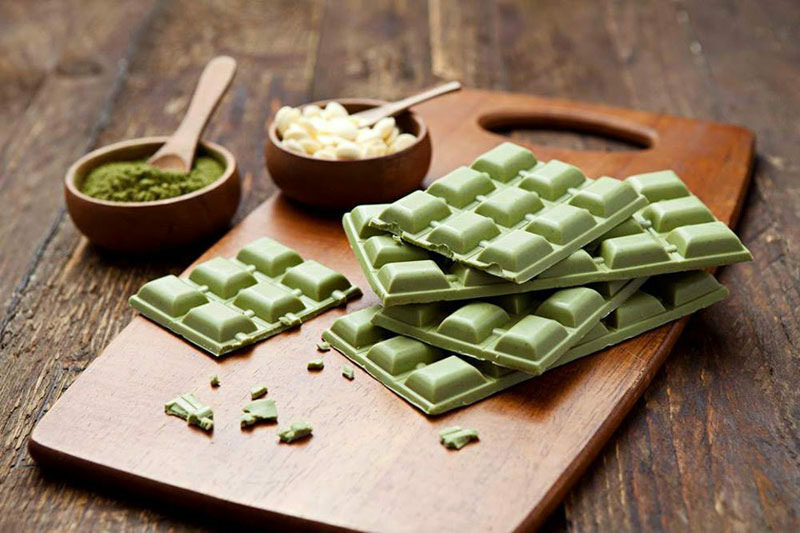 Try the matcha tea chocolate – who knew that you could have healthy chocolate! After all your feasting, take a stroll along the river, see the sights and burn off all those calories. Cimory ticks all the boxes – just remember to buy enough chocolate to last your whole trip, otherwise you will have to go back! Address: Jl. 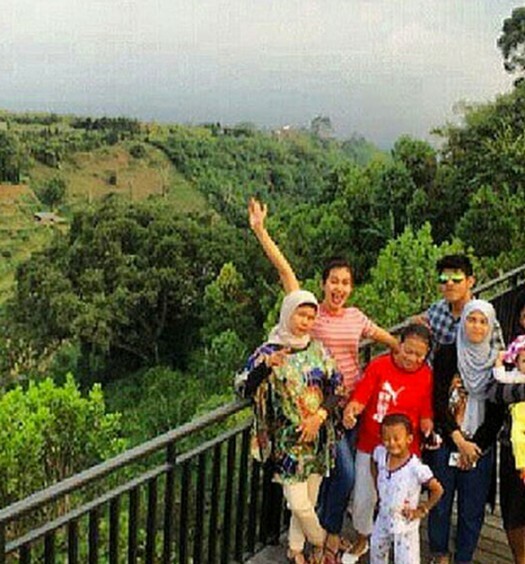 Raya Puncak KM 76, Desa Cipayung, Megamendung, Puncak, Bogor. Coordinates here. You will probably think that you are about to step into a traditional American milking barn when you arrive at Momomilk. Who can argue with that? A barn is the perfect place to get your dairy fix! 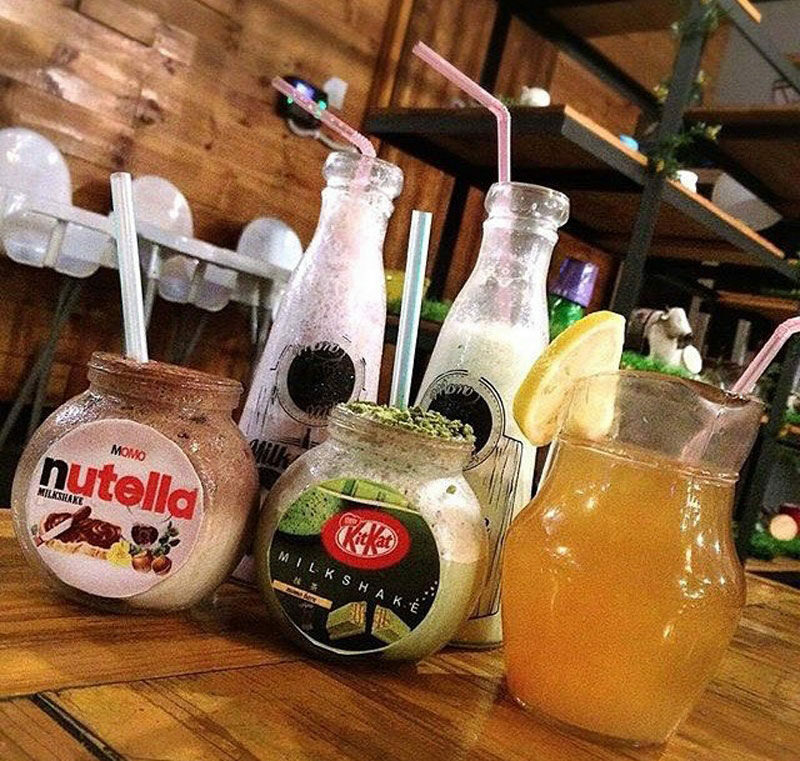 Unsurprisingly, the star of the menu at Momomilk is milk – from yogurts to flavored milk, and a huge array of unusual milkshakes. 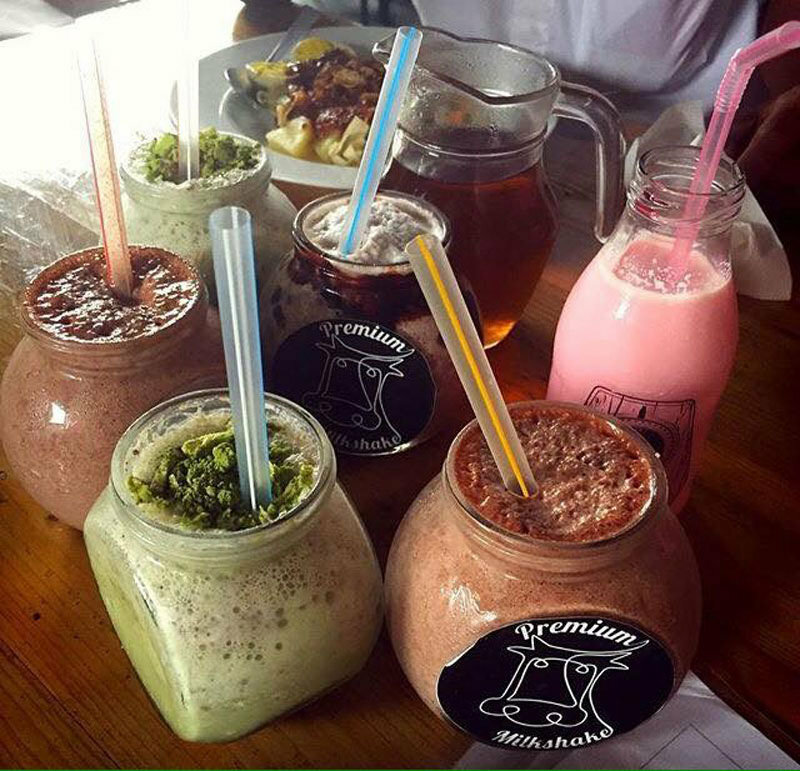 The shakes are served in jars and come in more flavors than you can imagine. The bright green, frothy shake might look scary but it’s actually delicious mint Kitkat – yum! 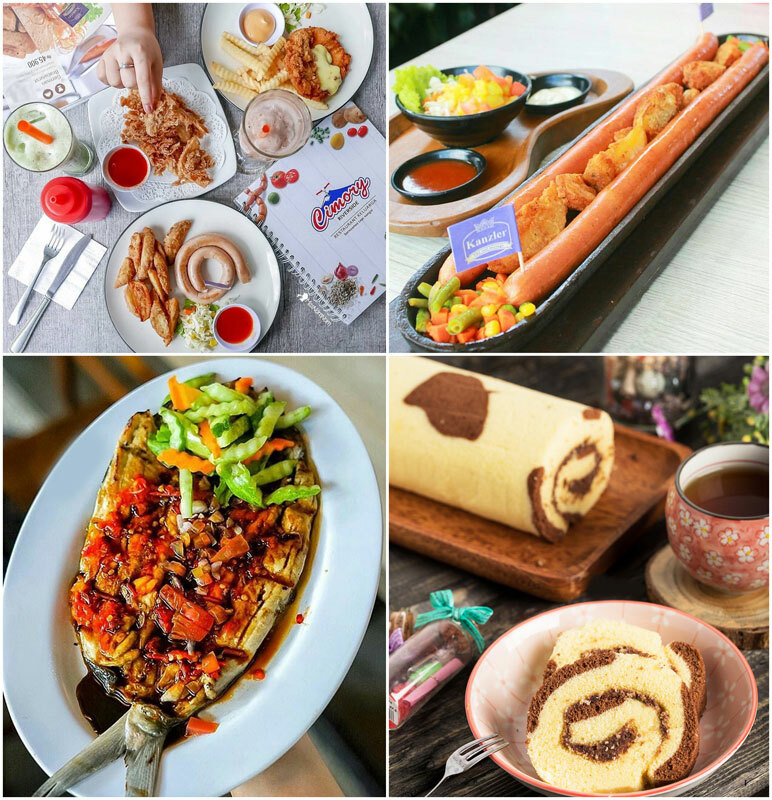 Don’t get too full with those delicious milk goodies – you should also check out the variety of Western, Chinese and Indonesian dishes on the menu. What goes better with milk than bread? 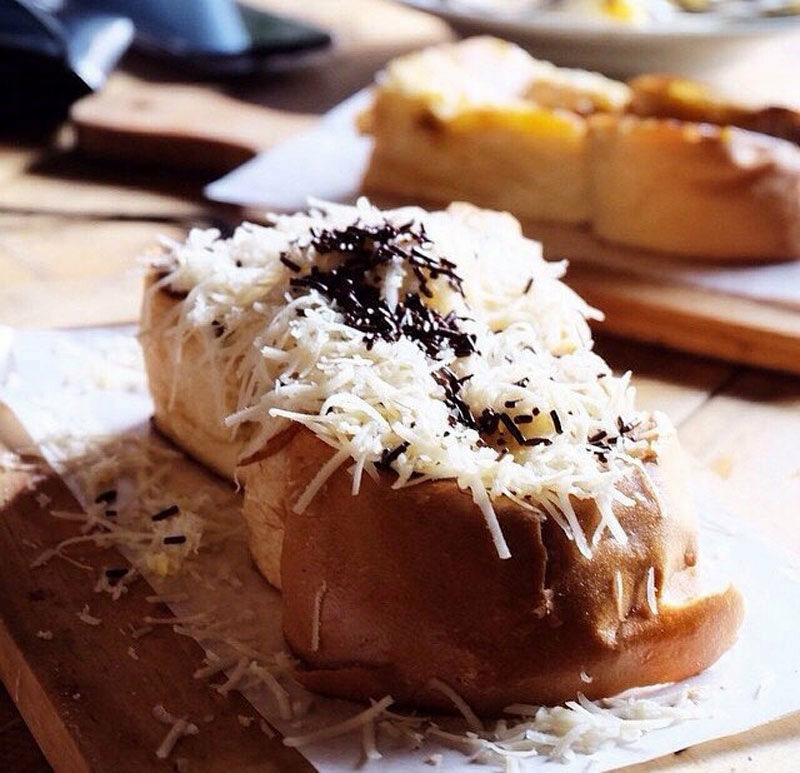 Try the Momomilk special – cheese and chocolate on bread. Weird but strangely satisfying! The peanut butter roti is a delicious, safe option for the less adventurous. PS: If calcium in milk gives you strong bones, then a few trips to Momomilk will (hopefully) get you closer to being a superhuman with super strong bones! Address: Jl. Kantor Pos No.6, Bogor Timur, Bogor. Coordinates here. 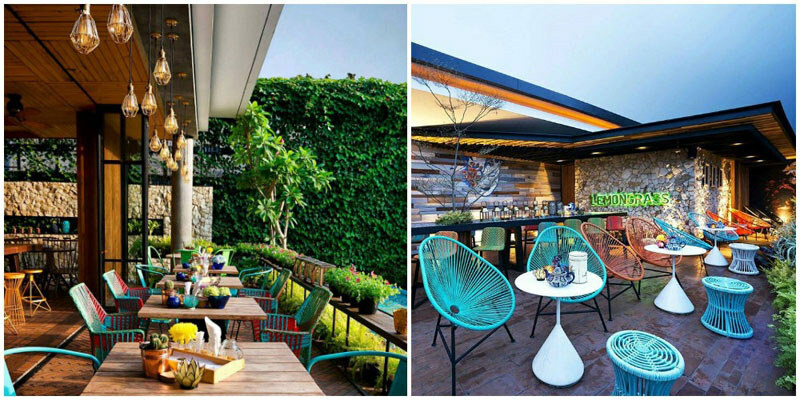 At a glance, Lusso Café looks like a normal restaurant with a beautiful leafy terrace that catches the afternoon sun. What’s so unique about that? Look a little closer and you will see the special touches. The door to the bathroom is decorated like an old fashioned red telephone box. 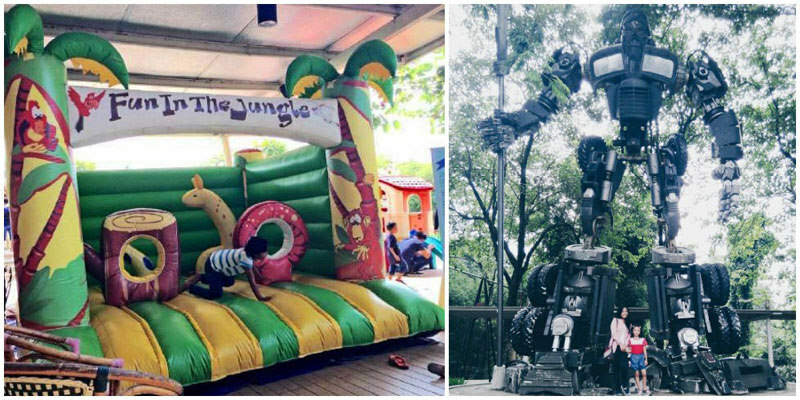 You might also notice one of the giant toy soldiers as you sip on a beer and wonder if you have had one too many. 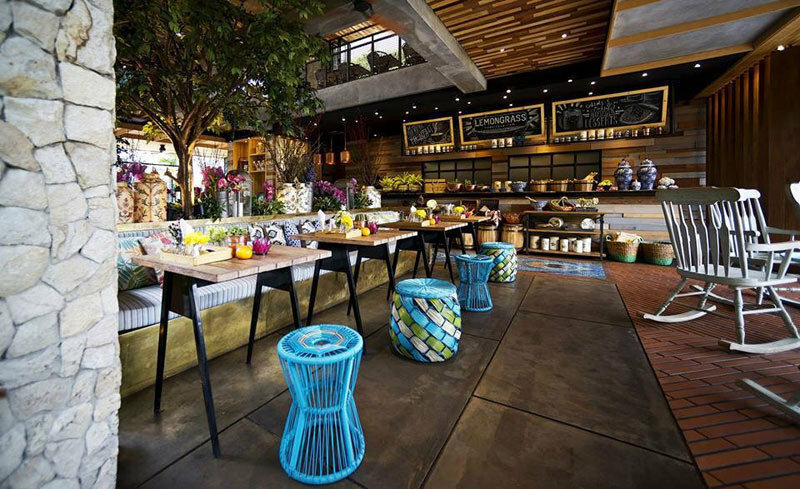 Lusso Café balances neutral and earthy with fun and exciting additions. 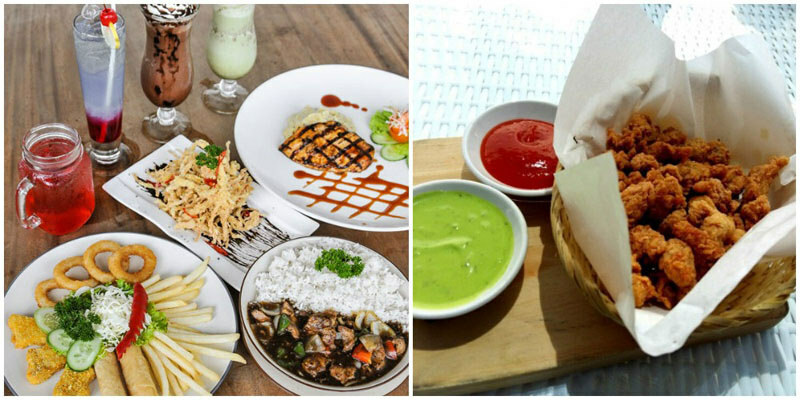 The menu is the same; you will find many Indonesian specialties with a few surprise twists. 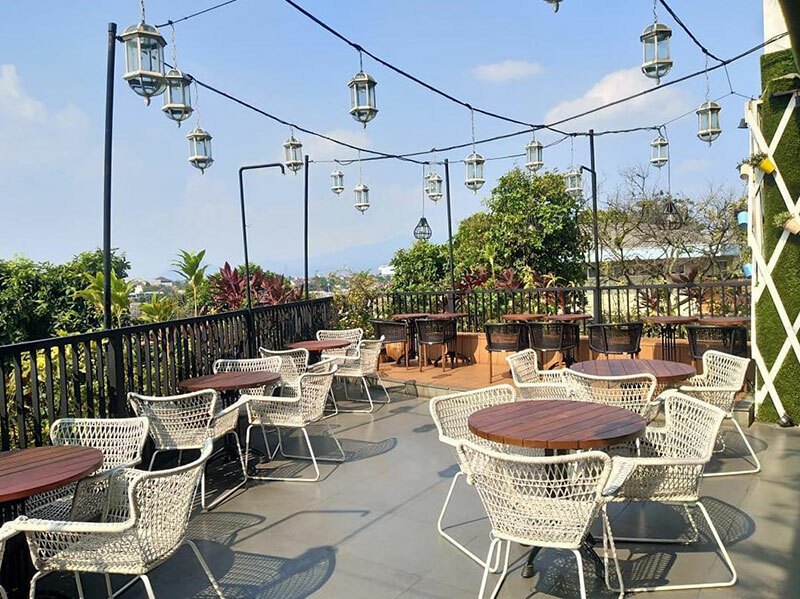 The Nasi Gurish Komplit is highly recommended, best enjoyed with good company while sitting out on the wonderful terrace. We have NEVER found a restaurant with a phone box toilet door, so Lusso certainly tops the unique restaurants chart with that one. Go on, go make a call! Address: Jl. Ahmad Yani No.124, Bogor. Coordinates here. From the outside of Nicole’s Kitchen, you might think this is yet another simple and traditional restaurant. 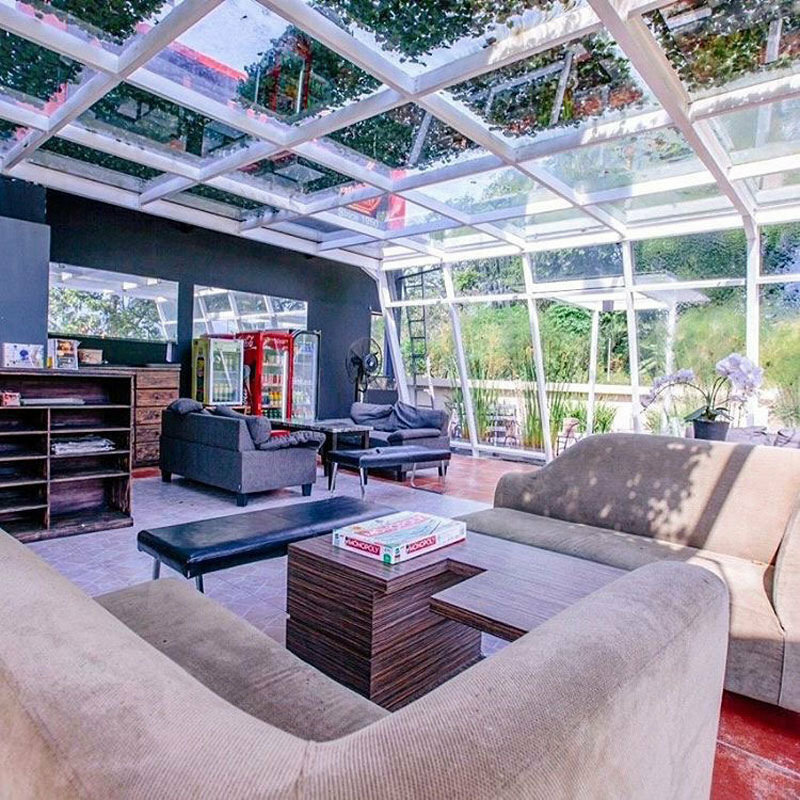 However, once you get inside you enter a white, minimalistic and super cool oasis – with funky cushions and grape vines snaking through the central pillars, adding a splash of color and a bit of fun. Life doesn’t get any better than when you have some delicious cheese balls, a specialty at Nicole’s kitchen. These golden fried delights are filled with gooey cheese – who can resist them?! 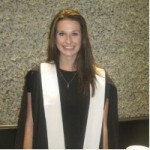 The menu is varied and includes plenty of International dishes and cordon bleu specialties. 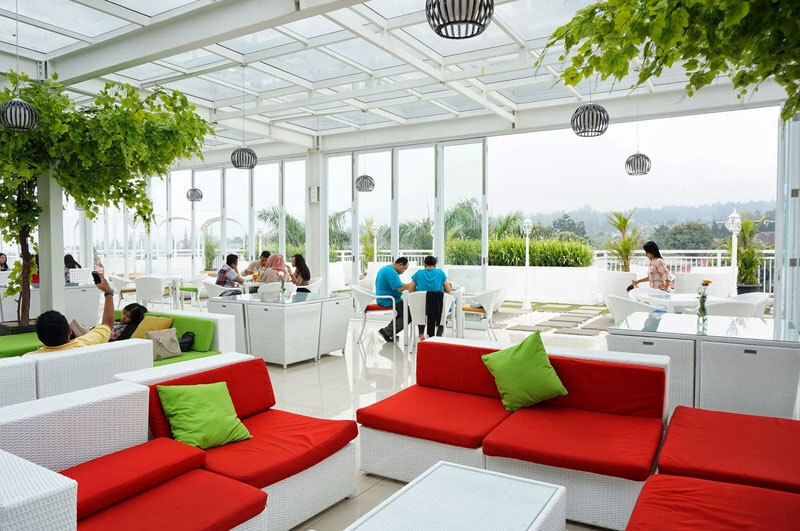 Relaxing daybeds on the top floor terrace also offer you a space to chill, enjoy your drinks and watch the sunset. Nicole’s is the place to be; it’s funky fresh and super cool. 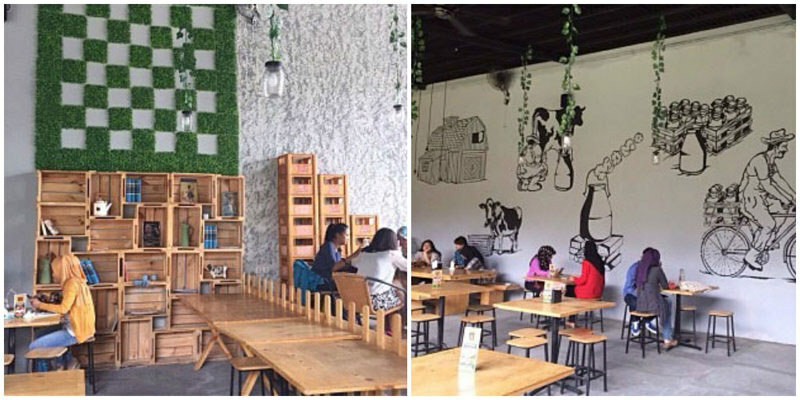 Address: Kampoeng Brasco, Jl. 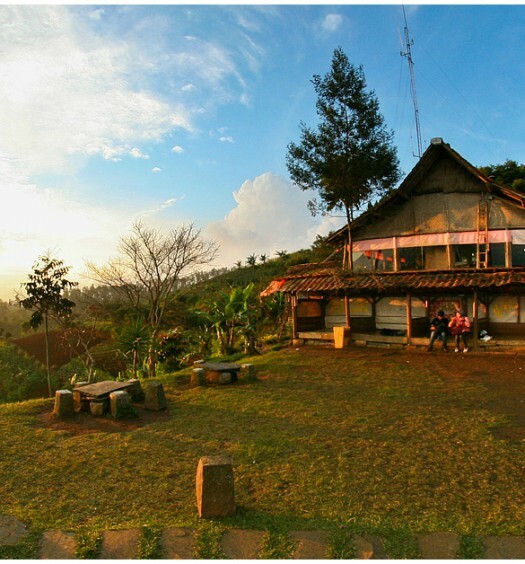 Hanjawar No.1, Cimacan-Puncak, Cisarua, Bogor. Coordinates here. For a chocolate lover like myself, the best way to live, is definitely by chocolate – with emergency chocolate slabs in the fridge or exciting trips to the places with the best chocolate. Death by Chocolate is one of those not-to-be-missed places – a spooky themed restaurant that, unsurprisingly, specialises in chocolate – oh, and spaghetti! The interior of this old house is decorated with ghosts, ghouls and even some coffins. Nothing too terrifying for children though; it’s all good fun! 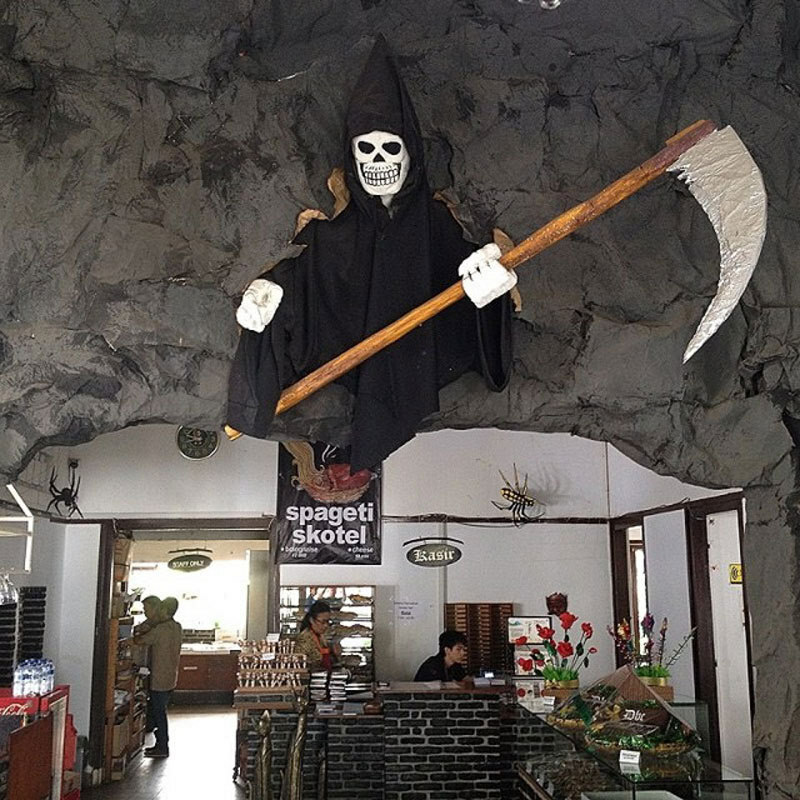 You have to try the famous ‘Death by Chocolate’ dish, a giant coffin shaped chocolate brownie with a soft fondant center, complete with a mini tombstone. You can even buy them to take away. Some of the dishes might look spooky but they taste delicious. 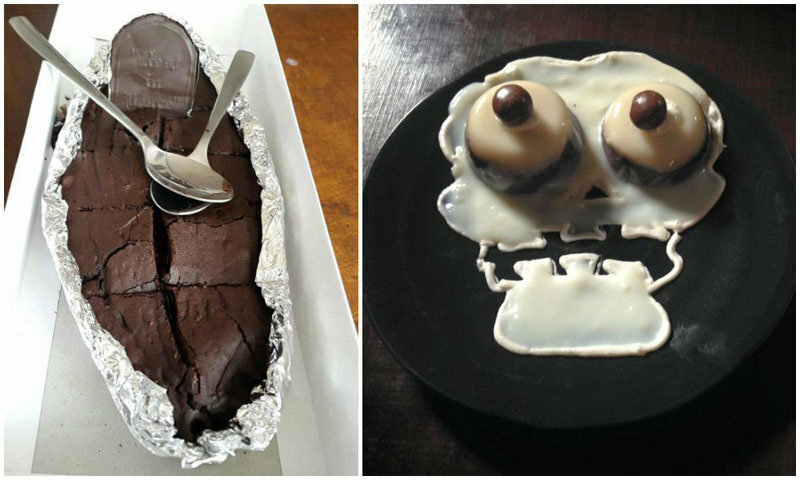 Eyeball pudding is actually two whoopee pies with a skeleton face. Visit on a Friday or Saturday night for a spooky ghost performance – it will scare you silly. What are you waiting for, get down to Death by Chocolate where everyday is Halloween! Address: Jl. Ceremai No.22, Bogor Tengah, Bogor. Coordinates here. 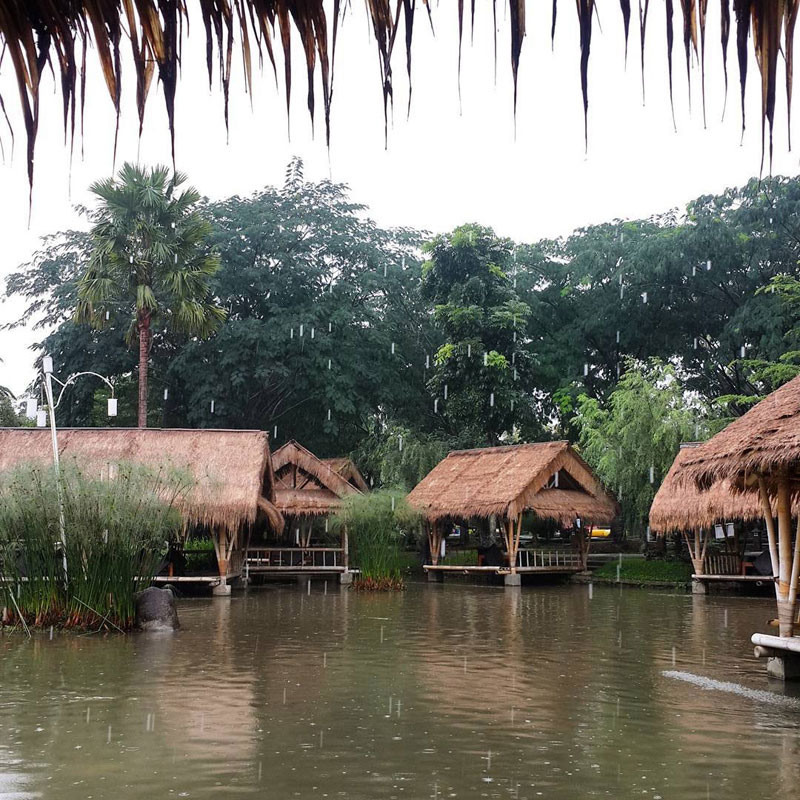 Rumah Air Restaurant is an impressive sight – a gathering of traditional, open sided Indonesian pavilions set across a shallow lake. 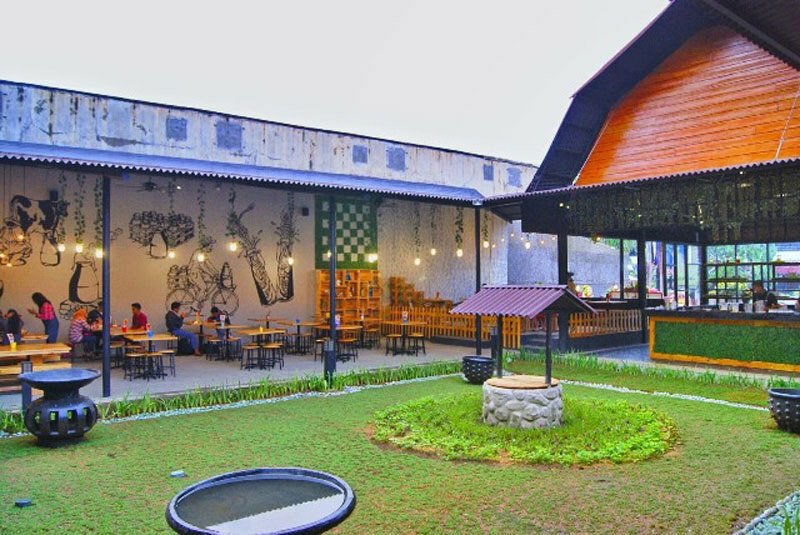 The most unique part of this restaurant is the amazing range of activities available for children at the Kid’s Adventure Center. 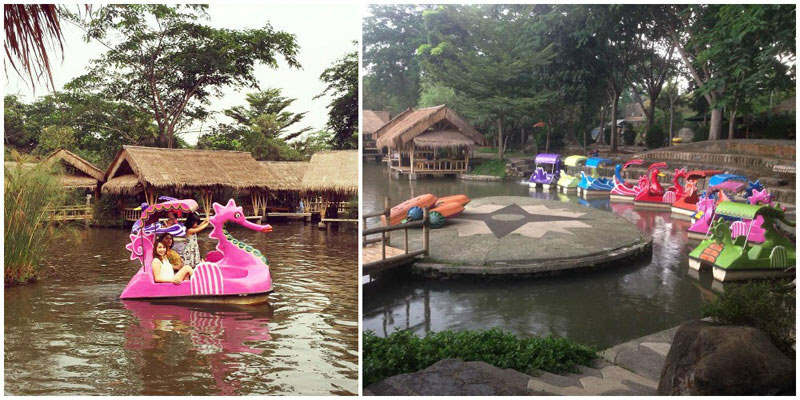 While you enjoy your meal, your little ones can take part in puppet shows, team games and even water activities on the Rumah Air Lake – all starting from $1.50 per activity. 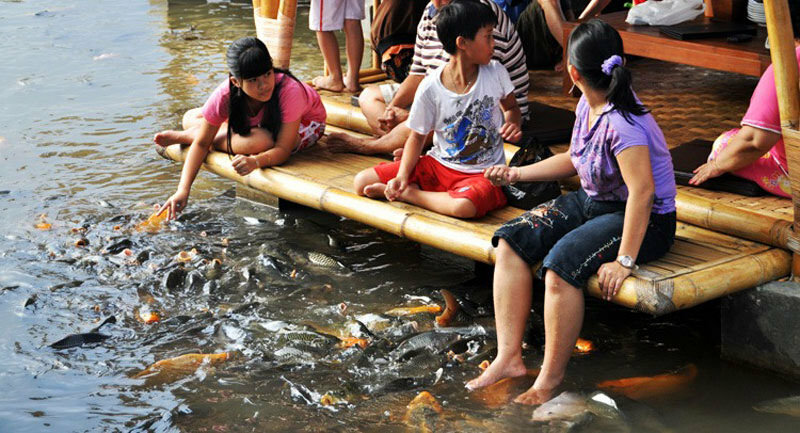 The fun doesn’t stop with the children; you can relax after your meal with a spot of fishing at the water’s edge. 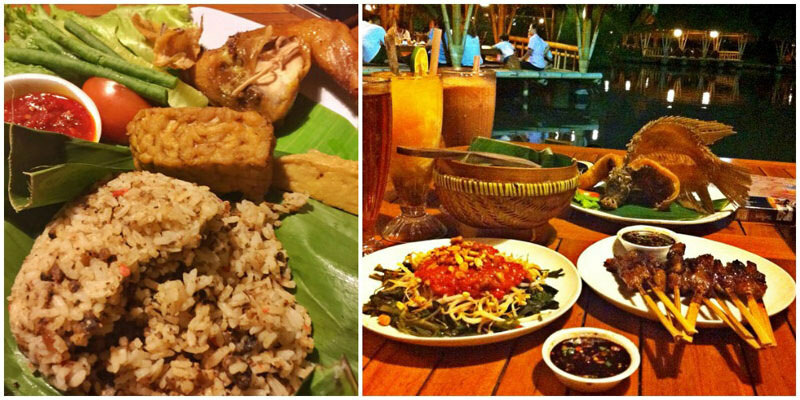 Rumah Air has a mainly traditional menu and makes the most fantastic Nasi Tutug Oncom. This authentic Sudanese dish is made with rice and roasted Oncom, a fermented food similar to tempeh, and served with crackers and chili paste. Visit during the day with the children or in the evening as the sun sets across the water. 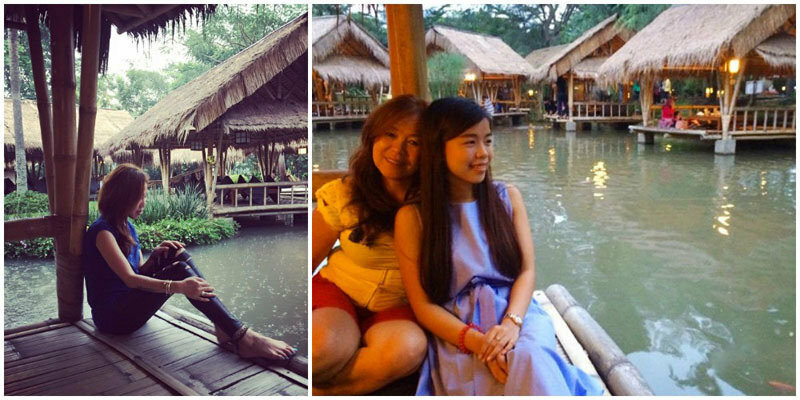 The atmosphere in the evening is relaxed and serene, with the warmth of the lights illuminating the lake. It’s traditional, it’s fun and the fish in the lake are massive!! Save them some nasi and watch them gobble it up! Address: Jl. Boulevard Bogor Nirwana Residence CBD, Bogor Selatan, Bogor. Coordinates here. 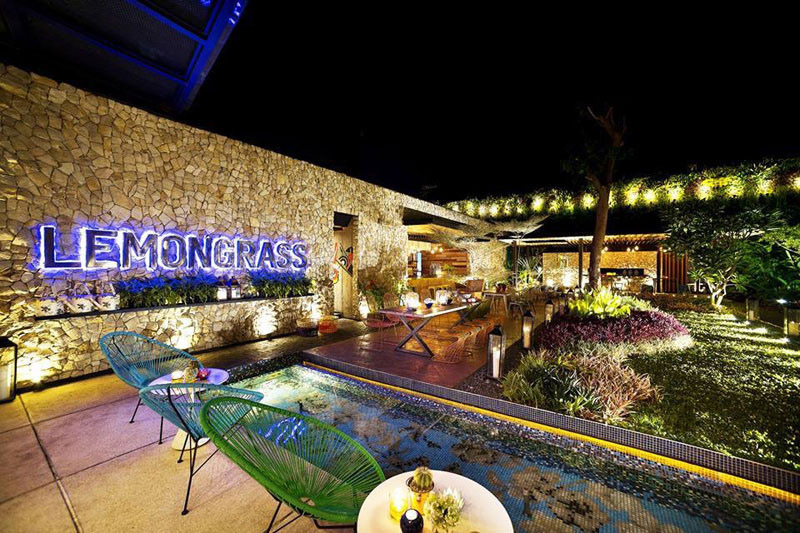 Lemongrass is the perfect example of a kopitiam – a traditional coffeeshop found in Southeast Asia. 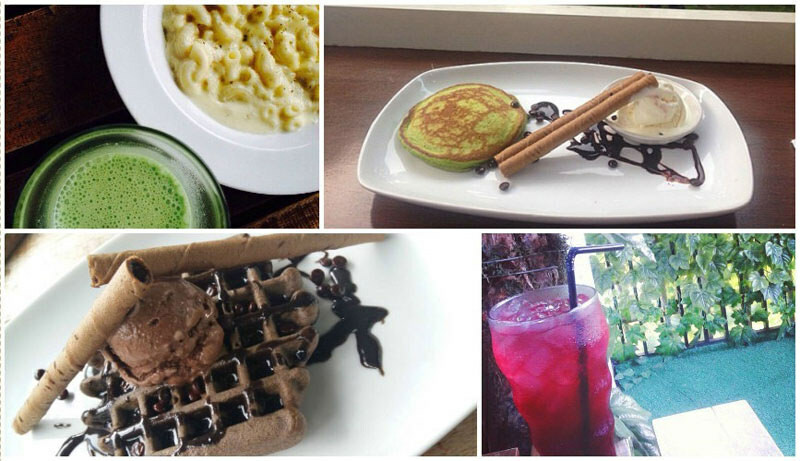 But don’t worry, you will find much more than just coffee in this unusual restaurant. The relaxed and cosy atmosphere makes you feel right at home and with just one glance at the menu, you know you are in for a treat. 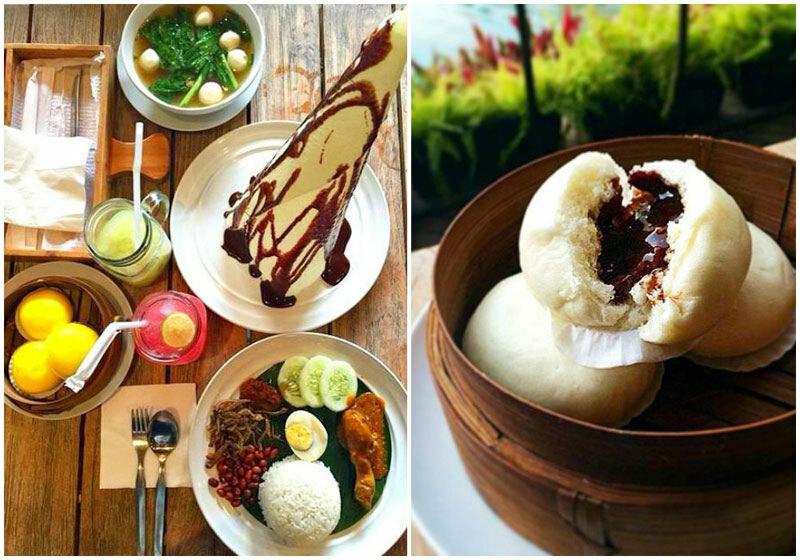 Lemongrass is famous for its eccentric fusion food, serving everything from dim sum to dessert. If you love Nutella then this is the place for you. Try a Bakau Nutella, a soft sweet bun filled with gooey chocolate. In fact, try two just to be sure! One particular highlight is the Roti Tissue. A giant, yet delicate, roti cone pyramid with chocolate dripping down the sides – heaven! Finally when you’re done eating, remember to take a photo next to the iconic bright light bulbs of the Lemongrass sign as it goes dark; it will feel like you are on a Hollywood movie set. 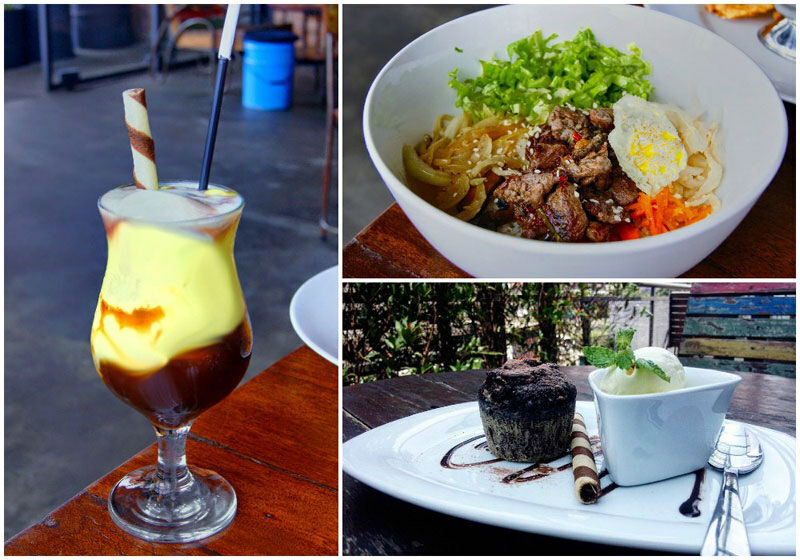 Lemongrass gets everything right, the décor, the atmosphere and especially the Bakau Nutella! Address: Jl. 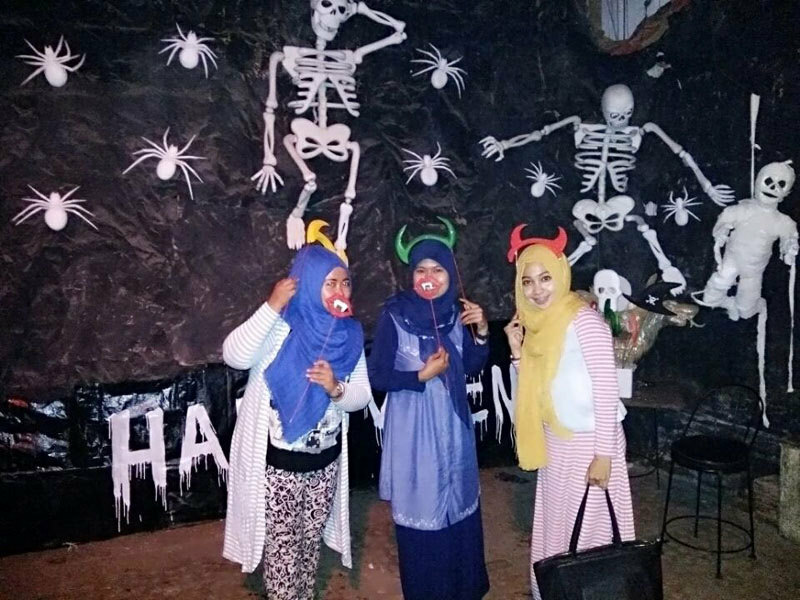 Raya Pajajaran No.21, Bogor Utara, Bogor. Coordinates here. It doesn’t look like much from the outside, so be prepared to be amazed when you get inside Two Stories. The restaurant interior has an unfinished, industrial feel and a quirky rabbit theme. Giant rabbit murals adorn the otherwise bare walls, and you can spend hours simply walking around ‘rabbit’ spotting. Mismatched vintage and retro furniture gives Two Stories a relaxed and comfy vibe, but their unique food combinations will keep you on your toes. If you fancy trying something different, then the Durian Rissole and Avocado Coffee Float are a mighty combination! Beer lovers will be impressed by the range of fruit beers: strawberry, peach, or lychee beer anyone? 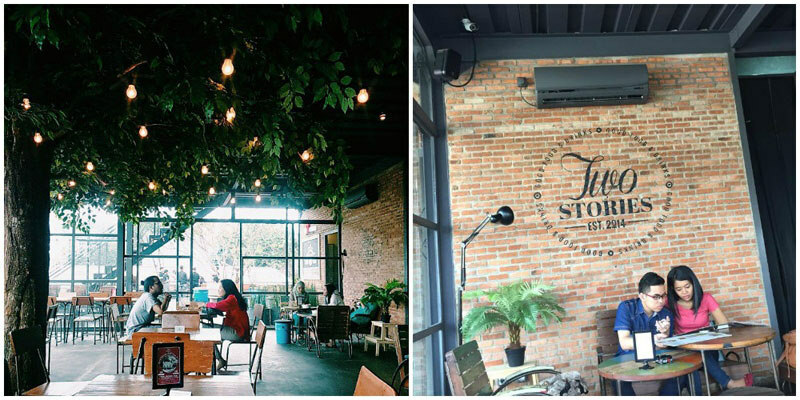 Two Stories is the ideal place to catch up with friends and hangout in the afternoon. 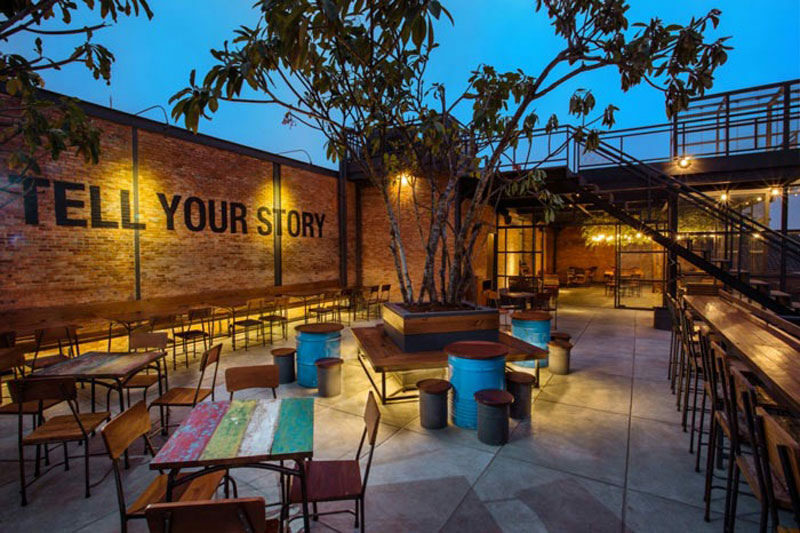 Grab a coffee or a bite to eat, and share your stories. The best thing about two stories? The third story! The top floor terrace houses a funky bar and often has live music in the evenings. So come on, it’s time to start a new story! Address: Jl. Pajajaran Indah V No.7, Bogor Timur, Bogor. Coordinates here. 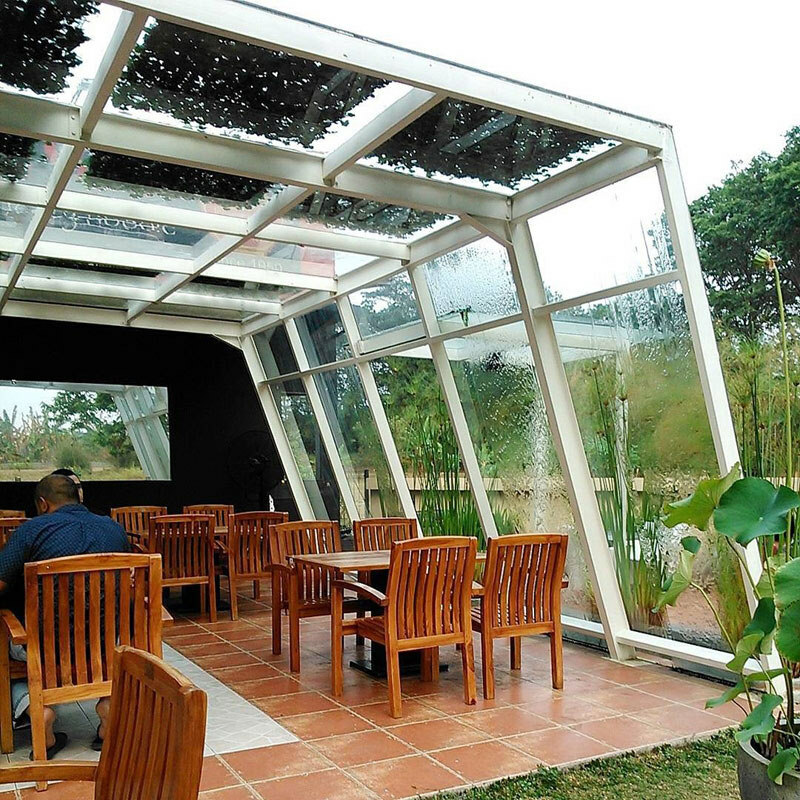 Lemon8 is a café with an outdoor concept, so even if you sit inside the glass walls, you’ll still get that open-air feel. 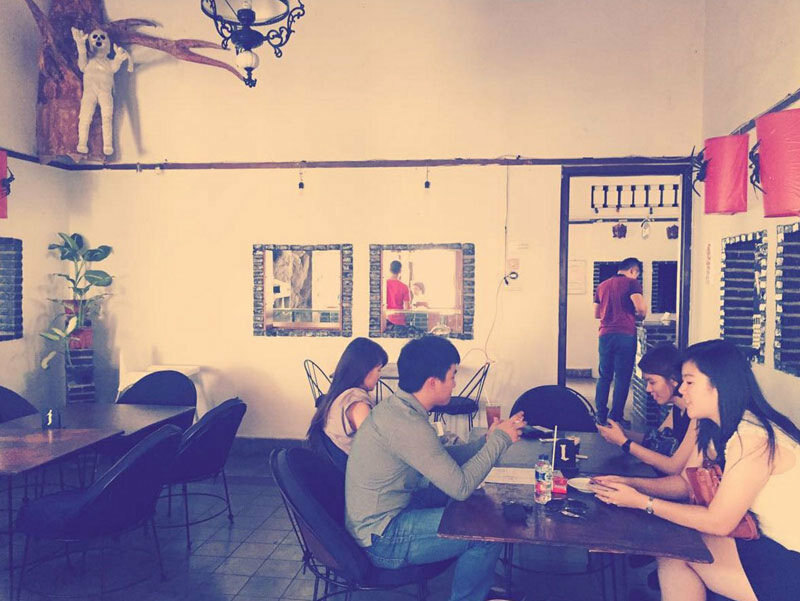 This café is not only open 24 hours a day – it also does deliveries so you can always get your favourite foods. 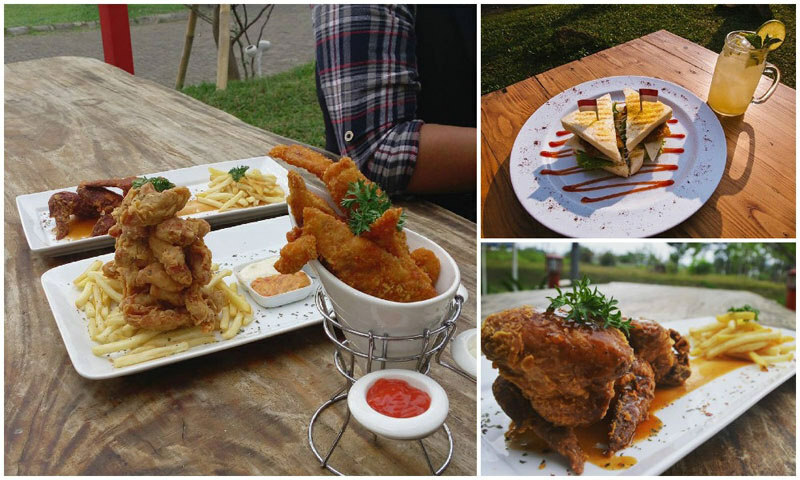 The menu is reasonably priced with both Indonesian and Western dishes, and the toasted chicken sandwich is a great choice if you fancy a snack after a night out! 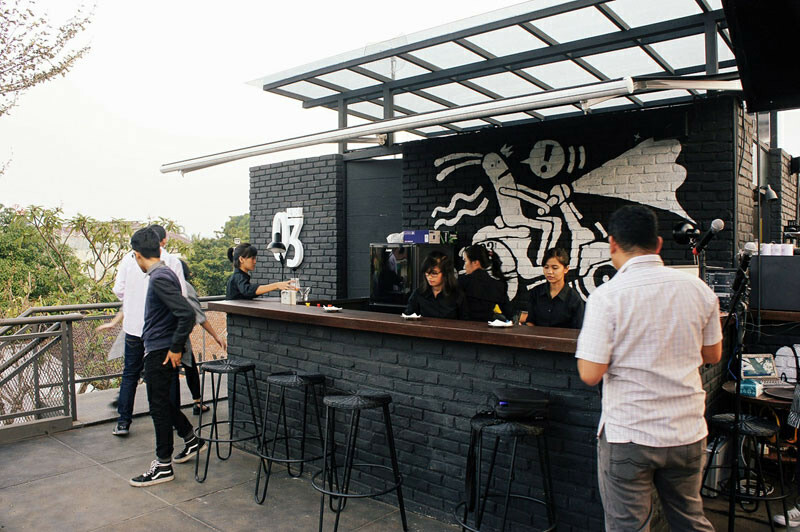 If you’re looking for something particularly special, then you need to know that Lemon8 is famous for its Saturday night BBQ feasts. Open air, all-you-can-eat BBQ and live music, all for $11 per couple – how else would you spend the weekend? 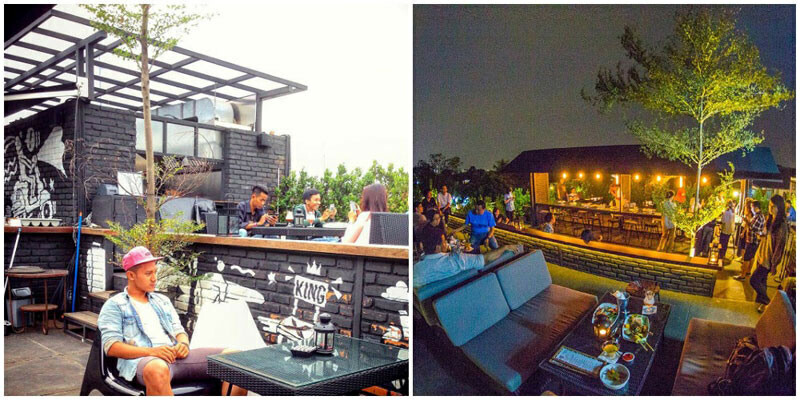 It isn’t fine-dining but it has great food, chilled atmosphere and the most epic BBQ parties. It’s time to party and Lemon8! Address: Danau Bogor Raya Blok D6 No.16, Bogor Timur, Bogor. Coordinates here. 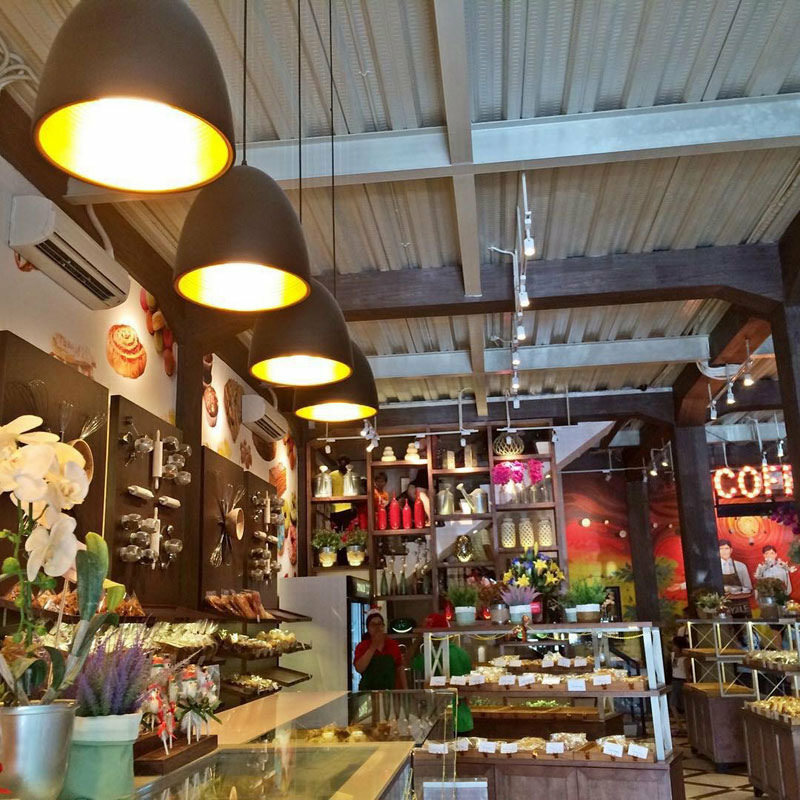 A bakery and a café rolled into one – forget the diet, it’s time to indulge! Nip into Royale Bakery and browse the freshly baked masterpieces – ranging from rainbow cake to chocolate torte and everything in between. These cakes are so beautiful you might not want to eat them! The café also serves great savoury meals and delicious steaks. It’s not all about cakes. The Ninja burger might look burnt at first, but it’s actually a black bread bun – totally unique to Royale Bakery and it tastes amazing! No one goes to Royale Bakery without ordering a double doughnut milkshake, a dessert and a drink combined into one. 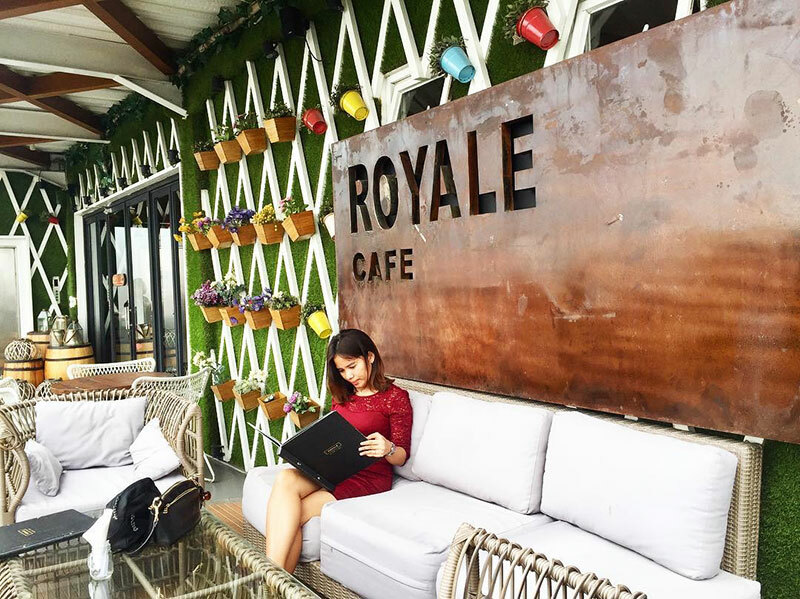 There is no doubt that this café is fit for royalty! Address: Jl. Siliwangi No.65, Sukasari, Bogor Timur, Bogor. Coordinates here. 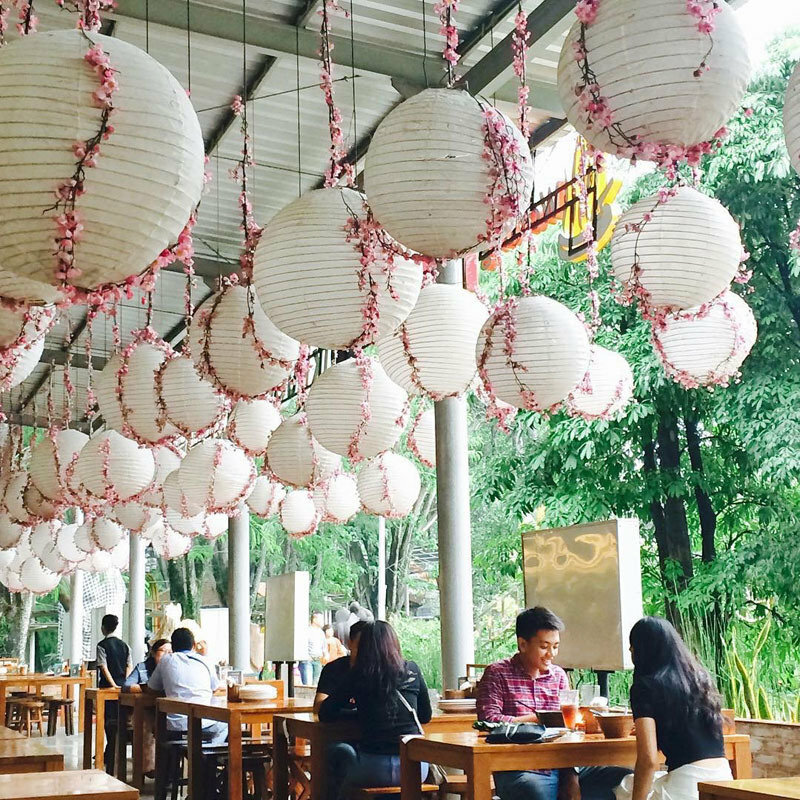 Ah Poong is a giant sprawling food court with lots of different dining options to suit even the fussiest of eaters. It’s like a food theme park! To get to Ah Poong, you have to cross one of two suspension bridges over the river – and the view is one of the highlights! 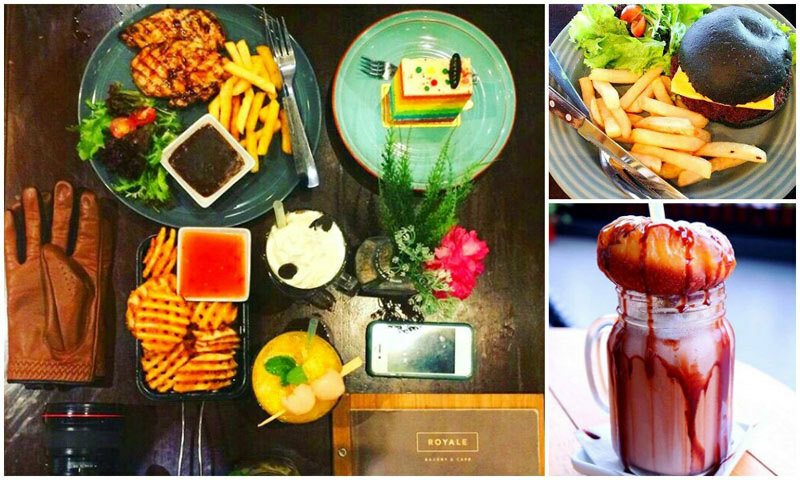 Add credit to a pre-paid Ah Poong food card and use that to pay for all the dishes and drinks that you select. No need to worry about paying for each different item. 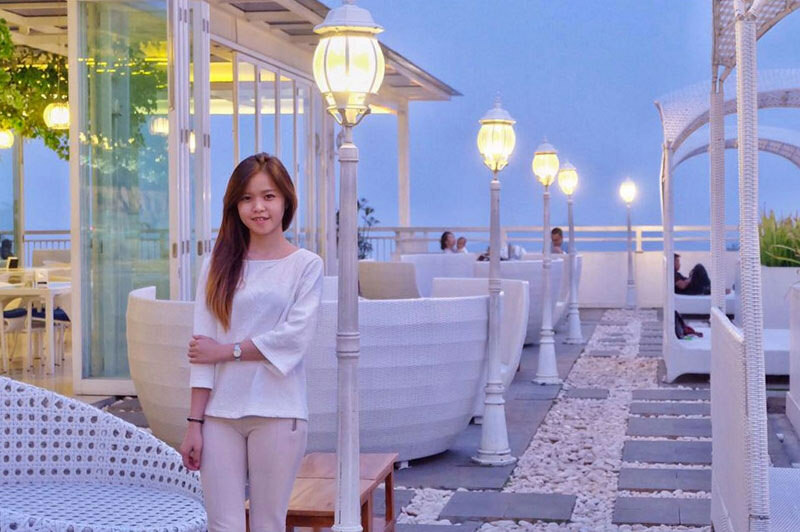 Try and grab a table on the terrace overlooking the floating market. 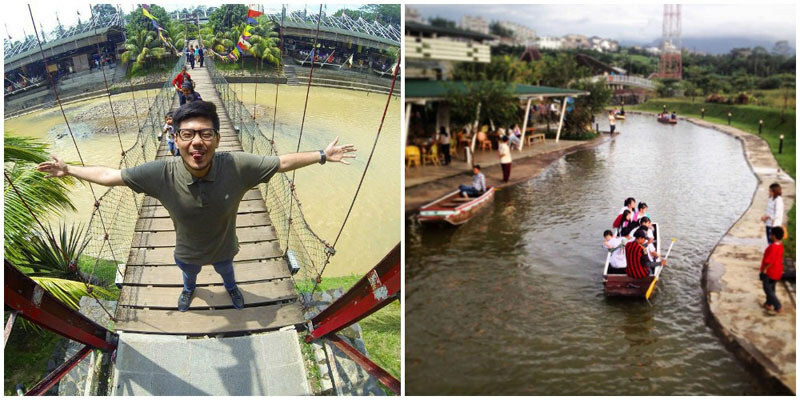 Afterwards you can even have a ride in one of the little riverboats – for free! 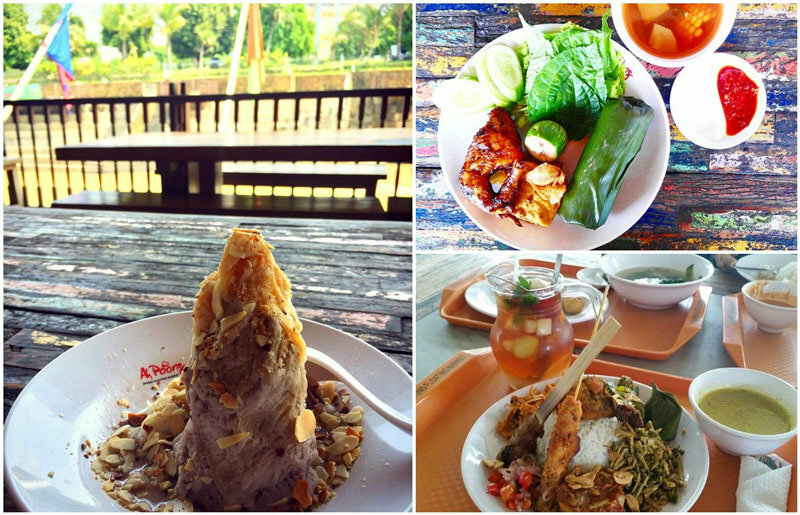 Ah Poong is the essence of unique – where else in the world can you make yourself a mini buffet with samples of food from all over the world? 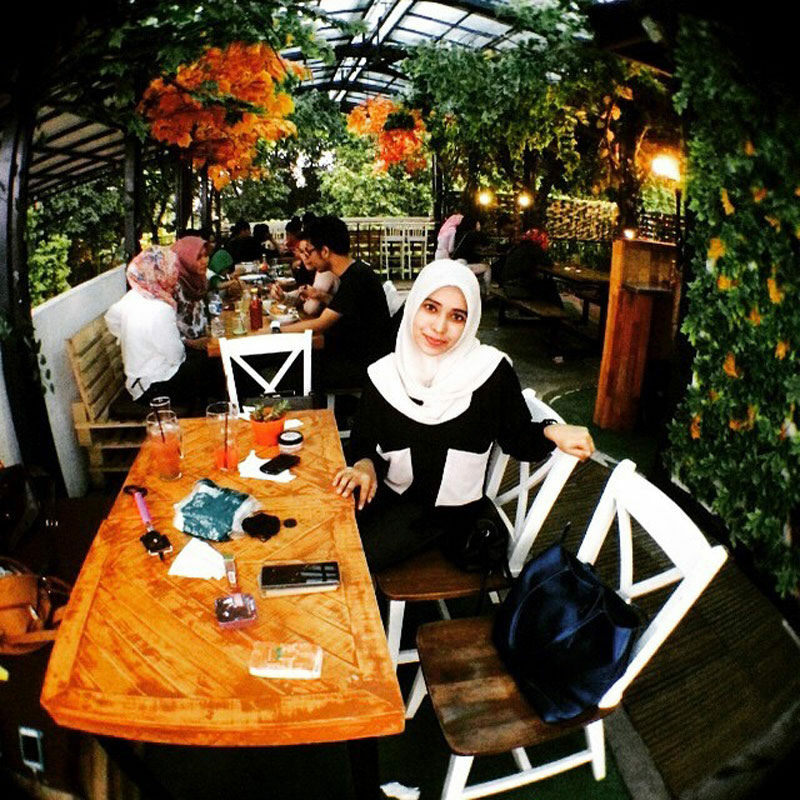 Address: Sentul City, Jl. Ir. H. Juanda, Babakan Madang, Sentul, Bogor. Coordinates here. 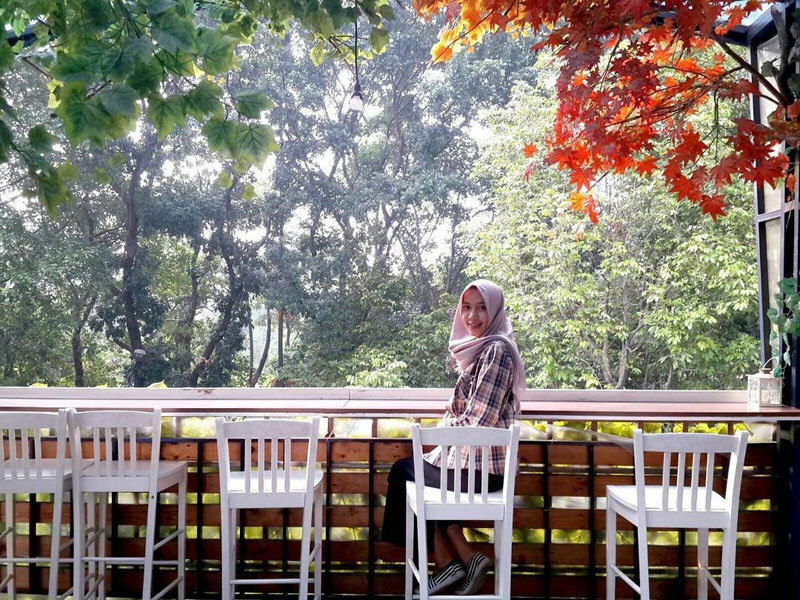 So, do you see Bogor in a different light now? Behind the sleepy façade is a funky little city with hidden surprises around every corner! 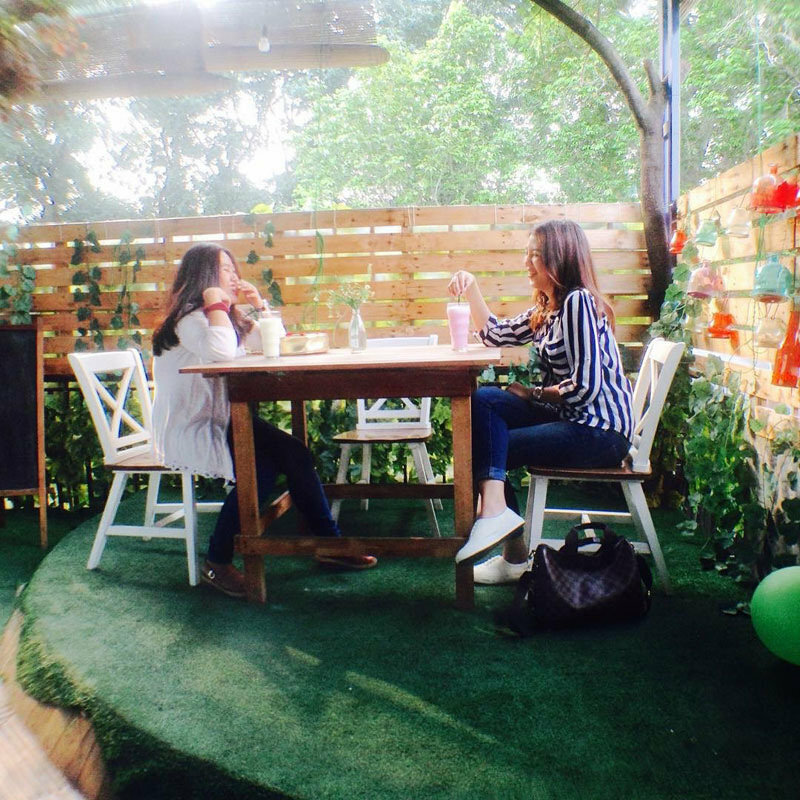 You can’t beat catching up with friends over a coffee, but in Bogor you can do it in a whole new way. No one will believe what you have witnessed until you put the photos on Instagram, so make sure your camera/phone is charged! 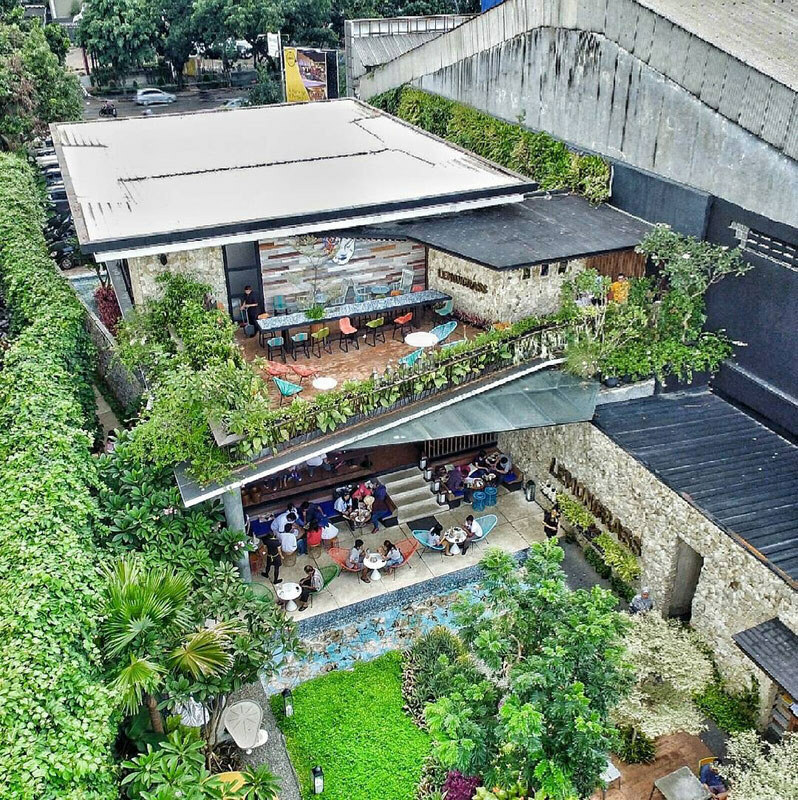 Are there any more unique cafes or restaurants in Bogor to recommend? Comment below to let us know!